Volkswagen Polo is one of the world’s bestselling compact models with nearly 14 million units produced and sold worldwide to date. The Volkswagen factory in Uitenhage is one of the two plants in the Volkswagen production network that assembles the Polo hatch. In South Africa, the Polo is produced for both the local and export markets. 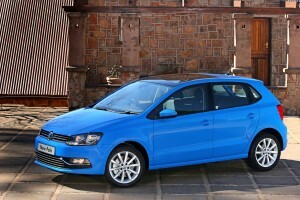 Since its launch in 2010 Polo hatch has consistently been the second best-selling passenger car in South Africa. In 2013, Polo hatch was bought by 23 501 customers. The best-selling car in South Africa since 2010 has been Polo’s sibling, the Polo Vivo which was also launched in the same year. assistance systems in its class. It is also the first car in this segment that comes equipped with an Automatic Post-Collision Braking System as standard. Thanks to the new award-winning TSI engines, the new Polo fuel economy has been improved by as much as 20 percent. The pick of the bunch is the 1.2 TSI 66kW engine. It has a claimed fuel consumption of 4.9 l/100km (117g/km of CO2 emissions). Four versions to choose from. Visually, the new Polo can be identified by a sharper front and rear design. In addition, the new model introduces fresh colours, new interior materials and new specifications. The new Polo now comes in three equipment levels, Trendline, Comfortline and Highline. Customers who want a Polo with rugged but sporty looks can opt for the CrossPolo.